Claire is an Earth scientist specialising in the study of natural fires and the role that they play in regulating the Earth system. She graduated from Royal Holloway University of London with a degree in Geology in 2000. She then undertook an MSc in Micropalaeontology at University College London, graduating in 2001 before returning to Royal Holloway to undertake her PhD. She completed her PhD in 2005 entitled “Assessing the evidence for extensive wildfires at the Cretaceous-Tertiary Boundary” and has continued to build on his fiery start ever since. She then moved to University College Dublin to work at the Programme for Experimental Atmospheres and Climate (PEAC) facility where she focused on the relationship between ancient wildfires and variations in palaeoatmospheric composition. She was then successful in gaining a Marie Curie Research Fellowship to hold a unique position joint between BRE Centre for Fire Safety Engineering and the School of Geosciences at the University of Edinburgh. She moved to Exeter in January 2012 to take up a permanent position in Earth System Science where she founded the wildFIRE Lab. Claire is the team leader of a 1.52 million euro European Research Council Starter Grant that seeks to understand the impact of plant evolution on fire behaviour in ancient ecosystems. Her research is internationally recognised for integrating state-of-the-art modern experimental methods into studies of Earth’s ancient past, but more recently in applying novel approaches to estimate modern fire behaviour by developing post-fire quantitative metrics. Her main research seeks to understand links between flammability, fire behaviour and ecosystems impacts from wildfires today. I am a planetary geologist working on studying terrestrial impact craters and surficial processes on Mars. I am also involved in var ious outreach activities and Mars analog missions with Austrian Space Forum. I have completed BSc and MSc in Physical Geography from Warsaw University, MSc in Geology at Michigan State University (funded by the Fulbright Graduate Student Award), and PHD at the University of Vienna. Afterwards I won a 3-year Post-Doctoral grant from the National Science Centre (Poland) to work at the Institute of Geological Sciences, Polish Academy of Sciences, and currently I am at the WilfFire lab thanks to the Marie Sklodowska Curie Individual Scholarship. During the last couple of years, I have been working on small impact craters. I have led (and co-led) three research expeditions to Kaali and Ilumetsa craters which resulted in finding charcoal pieces buried in proximal ejecta. Finding those charcoals not only allowed us to finally determine the age of this structure, but also opened new questions that lead to the MSCA proposal. In my spare time I 1) popularize scientific knowledge by any means possible (e.g., by talking science to people wearing Thor costumes during ComiCons), 2) make stained-glass windows and 3) read a lot of non-fiction and science-fiction literature. I graduated from the University of York in 2011 with a first class degree in biology. I then joined the Institute of Molecular Plant Sciences at the University of Edinburgh to undertake a PhD in plant biochemistry. I completed my PhD, entitled ‘Formation and subsequent metabolism of ascorbate oxidation products in vitro and in plant cells’ in 2015. After my PhD I joined the wildFIRE lab here in Exeter to continue researching plant biochemistry but this time in relation to plant flammability, specifically in pine species. Sarah graduated from the University of Plymouth in 2013 with an MGeol in Geology.Sarah is particularly interested in the reconstruction of palaeoclimates and environments. During her PhD at the University of Exeter her research assessed variations in atmospheric oxygen concentration across past oceanic anoxic events, which are thought to have severely disrupted the Earth’s carbon cycle. She joined the wildFIRE Lab as a post doc in September 2017 to build an understanding of variations in fire behaviour in Palaeozoic and Meszoic forests. Nick graduated from the University of Exeter with a first class BSc Geography (Hons) degree in 2014. Nick joined the wildFIRE Lab in 2014 where he gained his PhD by exploring how fire danger indices from the U.S. National Fire Danger Rating System (NFDRS) portray different aspects of fire activity, whether it be the occurrence of fire or the final size of fires. In 2018 he began a post doctoral position researching large wildfire risk. He has spent considerable time building links with Catastrophy Risk based r(e)-insurance and speaking to the wildland fire scientists and land managers. 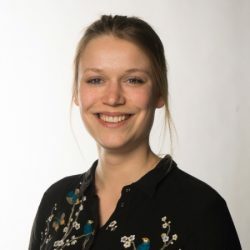 Stacey graduated from the University of Exeter with a first class BSc Geography (Hons) degree in 2013 and continued on at Exeter to graduate with a MRes in Climate Change Impacts and Feedbacks. Her master’s thesis investigated fire activity through two peatland palaeo-archives looking for a novel way to identify smouldering wildfires. Working in the WildFIRE lab, using state-of-the-art equipment, she developed an interest in the interaction between fire and the environment. She has continued her research at Exeter by undertaking a PhD investigating the effect of fire in tropical and temperate ecosystems using reflected light microscopy. Teuntje graduated from the University of Amsterdam with a BSc Earth Science degree in 2015. During her MSc in Earth Sciences at Utrecht University she focused on reconstructing past climates and environments. She joined the wildFIRE Lab as a PhD student to examine wildfire during the Early Jurassic, a time period with major climatic swings. Moreover, she will assess the possible role of orbital forcing on wildfires during this time interval. This with particular interest in the large scale trend of wildfires in the deep geological past of Earth and how major perturbations in the carbon and oxygen cycles affect fire activity. Rayanne graduated from the University of Exeter in 2018 with an MMath inMathematics, specialising in applying mathematics to Earth system science. During her final year, Rayanne developed a particular interest in Earth and climate system modelling, collaborating with the Met Office to help improve vegetation dynamics within the Joint UK Land Environment Simulator model (JULES). Since then, she has joined the WildFIRE lab as a PhD student to investigate Earth system feedbacks and the history of Oxygen. In particular, using models to investigate the role in which fire has played in keeping Oxygen levels relatively constant over time. I am studying Jurassic sediments of Poland in order to understand the palaeoenvironments in which they were deposited. Research will focus on Lower Jurassic terrestrial sediments recovered from boreholes located around the country. Analysis of carbon-isotopes, charcoal samples and palynological samples will be used to generate proxy data for palaeoenvironmental changes throughout the Lower Jurassic. Andy has spent all of his life closely linked to wildfires, mostly in the UK, but in recent years this interest has taken him around the world. His varied background includes working as a Countryside Ranger where he was involved in managing the Dorset landscape. He has been working in Geographical Information Systems since around 2001 and developed the 1st and, possibly still, only spatial application for recording UK wildfires. Currently he runs his own Wildfire Training and Consultancy Business, WildfireTaC (www.wildfiretac.com). Alongside all of this, Andy has been a Retained Firefighter with the Dorset and Wiltshire Fire and Rescue Service. He is currently the Station Commander in charge of Maiden Newton Fire Station in West Dorset. He is also a UK Wildfire Tactical Advisor for the National Fire Chiefs Council (NFCC). His main interests in wildfire are firefighter safety and wildfire mitigation. He has worked on research projects with Prof. John Dold of Manchester University, most notably on ignition patterns in the Kruger National Park, South Africa. He has also worked on prescribed research fires around the UK as part of the England and Wales Wildfire Forum Research Group. He has presented at many national and international wildfire conferences and hosted the UK Wildfires Conference in Dorset during 2017. He has worked with wildland firefighters in France, Spain, Greece, South Africa and America. He fought the Valley Fire in California during 2015, at the time the second most destructive wildfire in California’s history, and has returned several times since to work as a firefighter and to visit the affected communities. He has recently joined the European Union Civil Protection Mechanism (EUCPM) as a wildfire Technical Expert and EUCPM Team Member. This enables him to be deployed anywhere in the world to assist with civil emergencies including wildfires. Without any formal higher education, Andy simply treats ‘every day as a school day’ and is delighted to be an Associate Researcher with the wildFIRE Lab. Matt graduated from the University of Exeter in 2013 with first class honours in Physical Geography and is currently a PhD candidate within the cross-disciplinary Earth System Science group. Matt’s current work focuses on pyrogenic carbon, a fraction of the organic carbon continuum that cycles extremely slowly through the carbon cycle owing to its extremely stable chemical structure. Pyrogenic carbon is the primary constituent of charcoal residues left behind after open biomass burning and of aerosol (soot) released to the atmosphere from open biomass burning and fossil fuel combustion. Victoria graduated from Royal Holloway University of London with an MSci. in Geoscience in 2008, and continued at Royal Holloway to complete her Ph.D in 2012. Her thesis, entitled “The Palaeoecological and Industrial Significance of Inertinite (Charcoal) in Late Permian Coals from the Kuznetsk Basin, Russia” sparked an interest in using coal petrography microscopy techniques to interpret ancient fire occurrence, type and return intervals. She then moved to the University of Illinois at Urbana-Champaign to complete a year long postdoc, applying the techniques acquired during her Ph.D in order to gain a better understanding of fire regimes and fire-vegetation feedbacks in more modern boreal forest and tundra ecosystems in Alaska. She then moved to the wildFIRE Lab for 3 years where she focussed on detailed palaeoecological observations of charcoal assemblages in a variety of ecosystems, with an emphasis on interpreting charcoals as a proxy for wildfire behaviour and developing new understanding the fossil record of wildfire using state-of-the-art flammability techniques. Charlotte is a Scottish born painter who studied at The Edinburgh College of Art. Her work focuses on environment and landscape. Her previous work has explored the magical, private and ominous elements of a family owned forest in Scotland. Where her careful work has documented our constantly changing natural environment and the persistence of nature. Her work makes intimate observations of landscapes drawing the viewer back to an almost child like perception of nature. Charlotte is currently working on a long term project with us called Burnt Area to create works in response to our scientific exploration of wildfires. Ian recently took (very) early retirement from the Met Office, where he worked as a Senior Instrument Scientist in the Observation Based Research (OBR) group. Over a career of 33 years, Ian started in Bracknell working on developing and maintaining weather buoy networks, before moving to Met Research Flight (MRF) based at Farnborough. MRF became OBR when the Met Office moved to Exeter in 2003. In MRF/OBR Ian worked primarily on, and then leading, the development of VIS/NIR and microwave/millimetre wave radiometers. A large part of that work involved installing the instruments onto the research aircraft, and operating them on field campaigns around the world. More recent work focussed on (successfully) leading the Met Office side of consortium bids for instrument development funding, to the European Space Agency and Centre for Earth Observation Instrumentation. In addition to Ian’s main responsibilities, his knowledge of meteorology, instrumentation, aircraft and aircraft operations, led to him being asked to be one of the small team of Mission Scientists for the Met Office volcano monitoring aircraft, when it started operation in 2011. Ian is particularly involved in the wildFIRE lab’s SASSO work and utilises instruments and collaborates with people Ian has been associated with for many years, and some new kit (for Ian), to add new challenges. Olivia Graduated with a BSc in Geography from the University of Exeter in 2014. Since then she has been utilising her passion for design and science communication working with Claire on creating an App for the university. The App is designed to engage children of all sexes and backgrounds in science based around the principle that “Science is for all” and aims to be released to the public at Easter 2015. Olivia is also passionate about the environment and is currently designing and starting her own company that takes sustainable design into the ski industry!